Char-Dham Yatra is very holiest tour in India, in which four sacred places are come, in Uttarakhand State the four places are Badrinath, Kedarnath, Yamnotri and Gangotri. As per the history those places was built approx 8th century by Adi guru Sankrachayra. According to many stories, it is a tour of way to Heaven or way to God, and also said that this tour release all the sins of people. Every year Char-Dham Yatra is start from May to Nov. and due to heavy cold with rain falls the temple of four Dhams are closed in rest of the months. Today 13th May the temple of Gangotri and Yamnotri are open and also many of visitors and tourists are reach their to visit the temples. This is the amazing moment when the temples are open with the name of god. 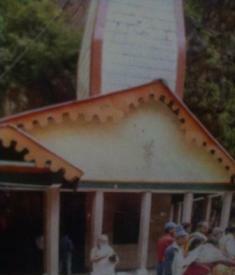 Yamnotri Ji is also a holiest and sacred temple in Uttarakhand and it is also one of the four main Dhams in Uttarakhand. Holy Char- Dham yatra in Uttarakhand start from Yamnotri then the other three Dhams (Gangotri, Kedarnath and Badrinath). The sacred places is temple of Goddess Yamuna Ji, it is situated in the elevation of 10800 ft. from the sea level. Yamnotri is a wonderful place surrounds with mountains and green hills. The place of interest in this place is warm water pool or warm water natural kund. You can take here a holy dip in Yamuna Ji the largest river in Northern area of India. The Yamuna River is originating from Yamunotri Glaciers at the height of 21795 ft. Some legend said it the sister of Goddess Ganga Ji. Yamnotri temple is not connected by roads to other cities or places. You can directly driver from Haridwar or Rishikesh to Jankichatti and then there is the trekking route of the 7kms.